Well, it's Eileen Lloyd from Harvard, IL! Congrats Eileen! Don't forget, we're still waiting to see those video for our "Bandicoot Jingle" contest, so get them in! Two weeks have flown by, and it's time for another installment of Book Nook! This week we're checking out what's between the covers of The BurdaStyle Sewing Handbook by Nora Abousteit with Alison Kelly. Nora is the co-founder of BurdaStyle.com, on online community of sewers and crafters with over 600,000 members, and Alison is BurdaStyle's creative director, a Project Runway alum, and also designs jewelry and fashion for her own label, Dahl. Now that you've "met" the authors, let's talk about the book! This one is spiral-bound, which allows the book to lay flat - very handy when you're trying to follow along with one of the projects. There eight chapters. 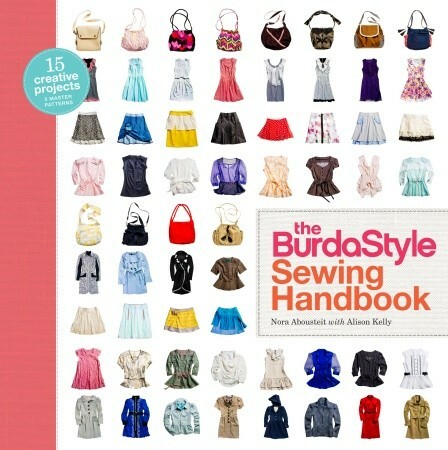 The first three cover the basics - setting up your sewing area, tools you need, using patterns, choosing fabrics, cutting & finishing techniques - a great overview, especially if you're new to sewing clothes. The next five chapters are devoted to projects that are based on the five patterns that are included in an envelope at the back of the book. There is a skirt, a blouse, a dress, a coat and a bag. Each pattern has a chapter that goes over the basic construction of the piece (with pattern fitting instructions - very handy), and then two variations of the pattern with instructions. There are also two additional pages with photos of even more variations. 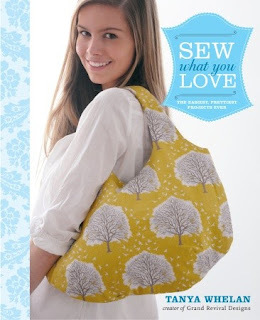 Overall, I think this would be a great addition to your sewing library, so we're excited that Potter Craft is generously donating a copy for us to give away! Leave a comment here telling us why you'd like to win it. Make sure the comment also includes your first name, last name, city and state so we can find you. Be sure to like us on Facebook as well, and fill out our contest registration form - the link is located on our Facebook page. Deadline is Tuesday, July 3rd, 2012 at 5 pm Eastern time. Last but not least, we'd like to announce the winner for our previous Book Nook. It's Kathie Bugbee from Fortuna, CA! Congratulations Kathie! It's Susan Patten from Yakima, WA! Congratulations Susan! We'll be sending it your way shortly. Don't be sad if you didn't win - do you know we're giving away a Bandicoot? Check out all of the details here: Bandicoot Contest. Can't wait to here your jingles! In case you missed it, we welcomed a new member to the Kangaroo Kabinets family - The Bandicoot! Isn't it adorable? 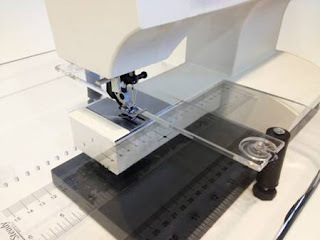 If you don't have room for one of our larger models, it may just be the perfect fit for your mid-size sewing machine! The measurements are - Open : 61" wide x 17" deep x 29.25" tall, Closed: 30.75" wide x 17" deep x 30" tall . When the Bandicoot arrived, everyone in the office was so excited they did a little song and dance. If you're excited about the Bandicoot and would like to WIN one, you'll need to do a little song and dance too because we are having a "Give A Hoot For The Bandicoot!" Jingle Contest! The winner will receive a Bandicoot cabinet, isn't that an awesome prize? 1. Write a jingle about the new Bandicoot. 2. Dress up in your best Australian outback - inspired outfit. 3. Get a friend/relative/spouse (heck, a complete stranger - we don't care!) to videotape you singing your jingle. Please keep it under two minutes, and remember - we LOVE creativity! 4. Email your video file to us at arrowcabinets@gmail.com along with a statement that you give us permission to post your video on the internet. 5. Deadline for entry is Friday, June 29th at 5 pm Eastern time. 6. Make sure you are registered for our giveaways - the link is on our Facebook page. 6. We will edit the videos together and post them to our YouTube account. 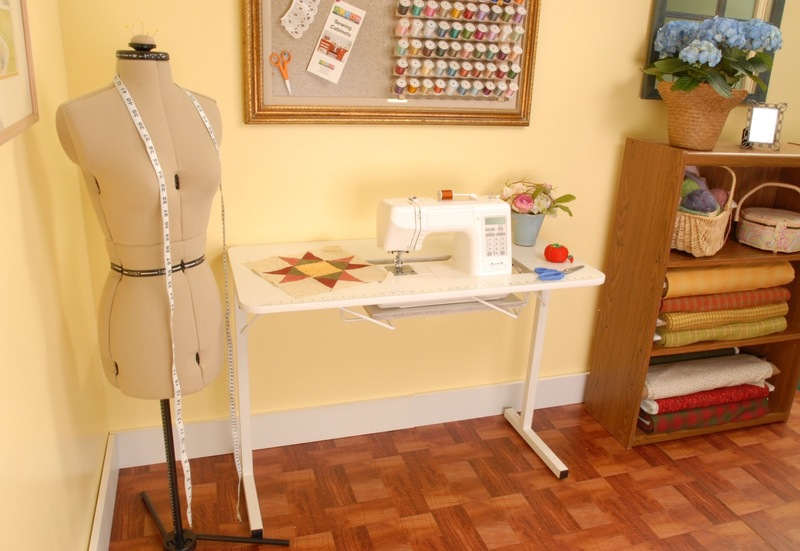 The winner will be chosen by the Arrow staff, and will receive a Bandicoot sewing cabinet! Sorry, this contest is only open to residents of the 48 contiguous United States and Canada. Good luck everyone! We are so looking forward to watching these! We're glad you're all so enthusiastic about the new Sew Straight Guide from Dream World! We hope that Debbie Goff from Festus, MO and Cindy Derryberry from Ada, OK are even more enthused when their prize arrives - they're our Friday winners. Deb won the 7" guide and Cindy won the 11" guide! Congratulations Ladies! Summer's almost here, so it's a great time to stock up on some summer reading material! We think this swag bag will come in handy! We sure hope Lisa Potts from Fort Polk, LA has some time to lounge around and check out these magazines! Congrats Lisa! Don't forget, we've still got our a book up for grabs as part of our Book Nook series, and we've got a great belt contest for you to enter! Best of all, we'll be giving away a pair of Gidget Sewing Tables later today - one to a lucky Facebook fan and one to their favorite sewing/quilting store. Yippee! We have over 8000 likes now, which means we're getting closer to that huge 10,000 likes giveaway! It's contest time again here at Arrow, and this one is easy, fun, and practical (it's also Hether's idea)! She loves to make ribbon belts, and she thought it would be fun to challenge all of you to make a belt and see what you come up with! To add to the fun, we're teaming up wth our friends at Renaissance Ribbons - their ribbons are to die for! Check them out here: Renaissance Ribbons. 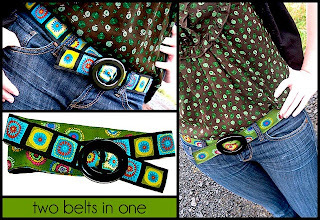 For a quick tutorial on this belt, check out https://sew4home.com/projects/fabric-art-accents/reversible-ribbon-belt. We'll be awarding a first and second prize. First prize is a ribbon belt kit (3 yds of ribbon and a buckle) courtesy of Renaissance Ribbons, along with a June Tailor set courtesy of Arrow, and 2nd prize is a ribbon belt kit! Now that you're inspired, here are the details! 1. 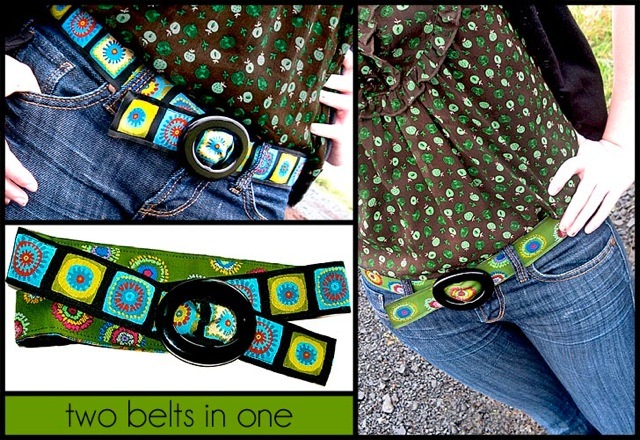 Create a ribbon belt! 2. This must be a new project made especially for this contest. 3. Take a picture of it, and email it to rebecca@arrowcabinets.com by Friday, June 15th at 5 pm Eastern time. 4. The entries will be posted in a slideshow on the Arrow blog, and the winner anounced on Tuesday, June 19th. 5. The projects will be voted on by Arrow staff, and the project with the most votes wins! Remember, creativity counts!! Don't be afraid to go for it! If you want more inspiration, be sure to visit Renaissance Ribbon's website, and don't forget to like them on Facebook too - www.facebook.com/RenaissanceRibbons!